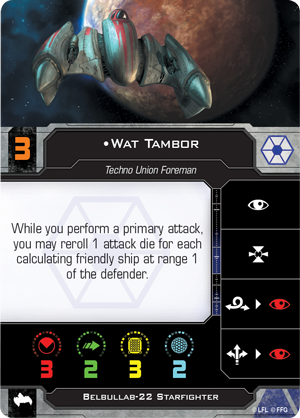 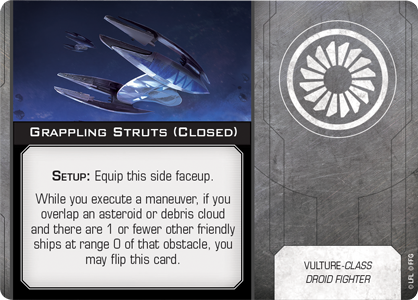 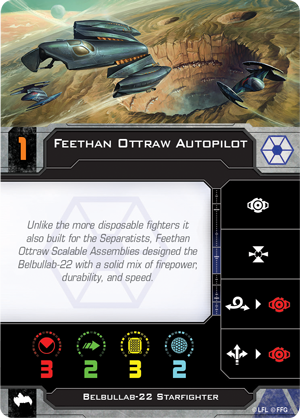 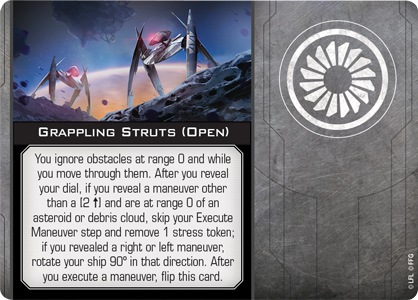 While most Separatist flight leaders view their droid fighters as expendable assets used to gain a tactical advantage,Captain Sear recognizes the power of superior numbers. 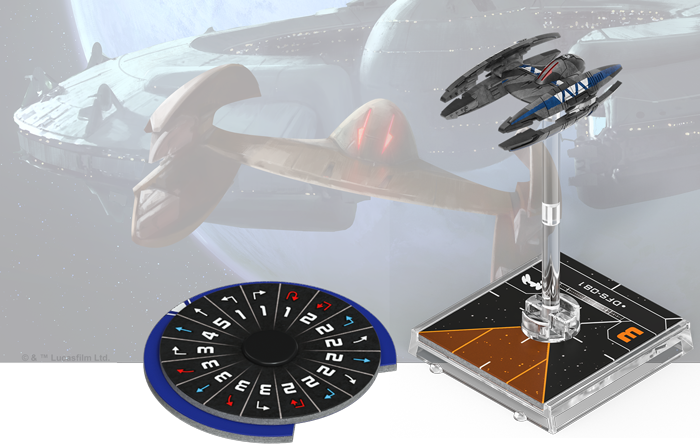 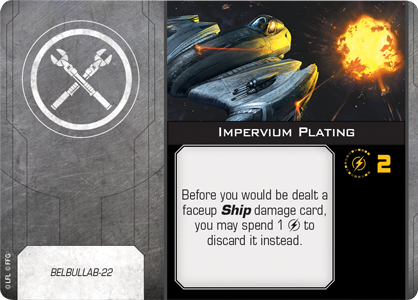 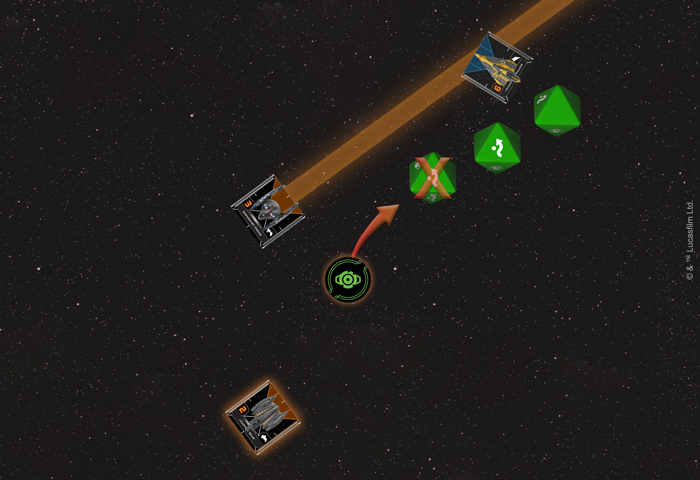 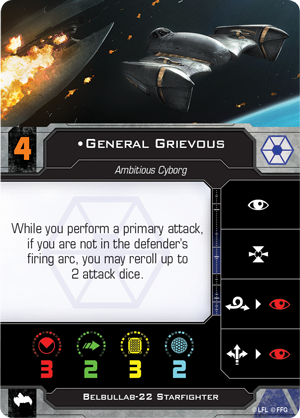 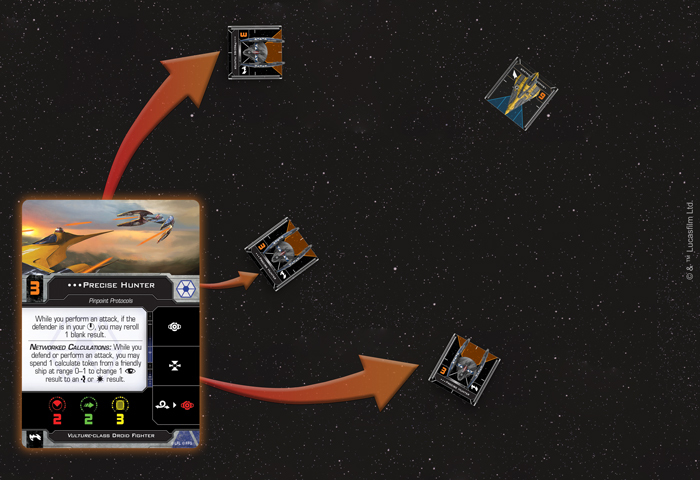 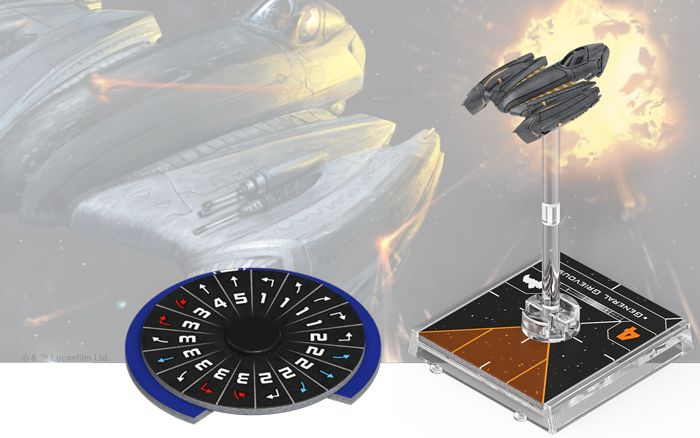 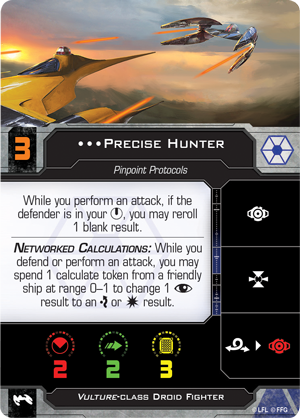 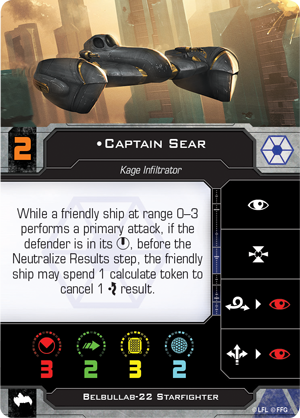 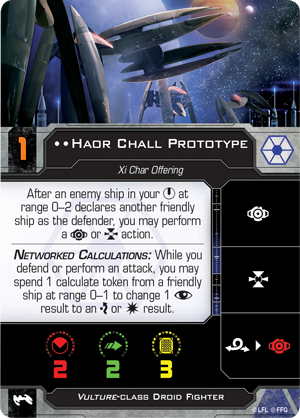 While a friendly ship close to Captain Sear makes a primary attack against a ship in its bullseye arc, it can also spend a calculate token to cancel one of the defender’s evades. 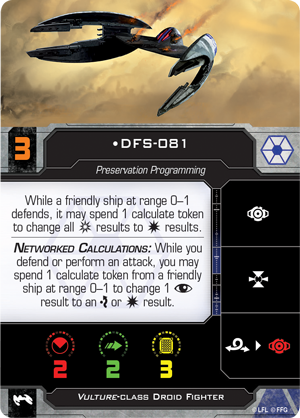 At the head of a sufficiently large group of droid fighters, Captain Sear can cut through enemy defenses even faster, overwhelming them with pure numbers.